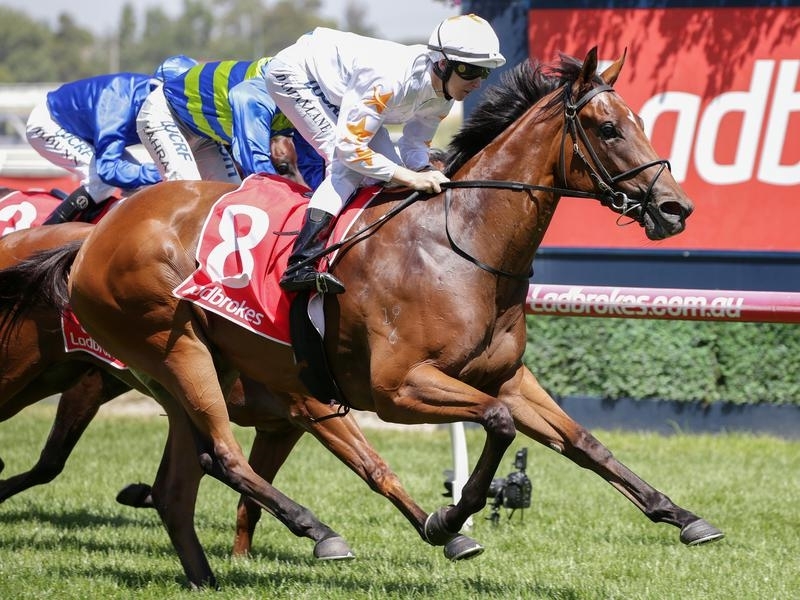 Yarraman Park’s outstanding sire I Am Invincible added a sixth juvenile stakes-winner this season to his tally on Saturday with an impressive debut victory for Loving Gaby in the Group III MRC Chairman’s Stakes at Caulfield on Saturday. 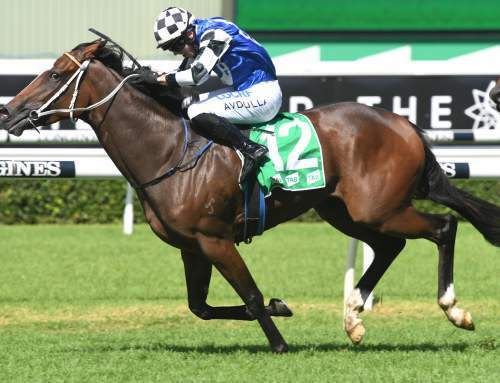 Trained by Ciaron Maher and David Eustace, she was sent out favourite, but was slowly away and found herself last in the early stages to the surprise of punters. 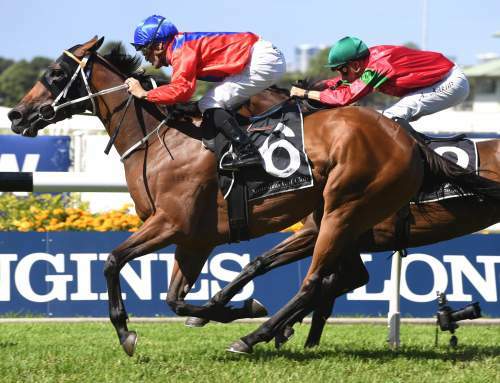 Loving Gaby overcame that hurdle, surging to the line between runners to score an eye-catching half length in the 1000 metre dash clocking 57.69 seconds in defeating spring Group III winner Bella Rosa. 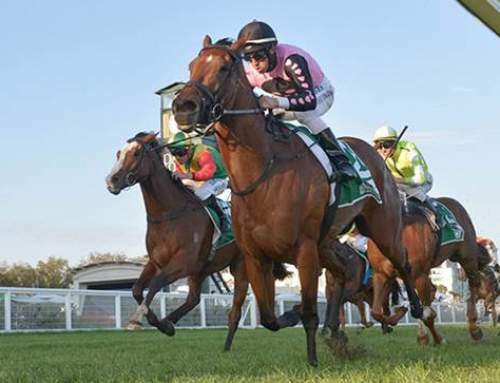 “This horse has a really bright future,” Ciaron Maher said. “She sort of put the writing on the wall in her trial the other day. 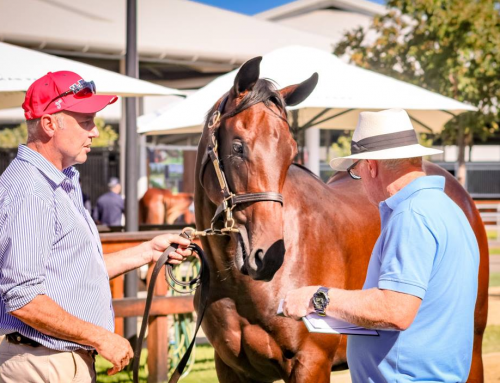 A $500,000 Inglis Easter purchase for Phoenix Thoroughbreds from the Kia Ora Stud draft, Loving Gaby is the first winner for Phoenix Thoroughbreds trained by Ciaron Maher and David Eustace. 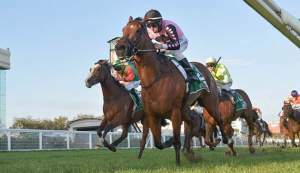 She was bred by Kia Ora in partnership with Alan Bell and is the first foal of Group II placed Maastricht, who was race by Bell. A half-sister by Mastercraftsman (IRE) to Group I winner Velocitea, Maastricht has a weanling filly by Sebring and is due to foal to I Am Invincible again this spring. 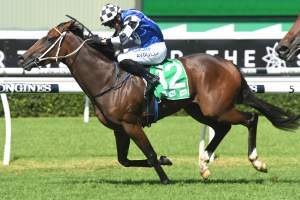 Now headed towards the Group I MRC Blue Diamond Stakes, Loving Gaby is the 42nd stakes-winner for I Am Invincible, who also had an impressive two year-old debut winner at Eagle Farm with Garibaldi scoring for the Tony Gollan stable. 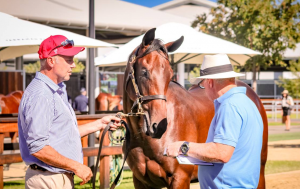 A $475,000 Inglis Classic purchase for Boomer Bloodstock/ Gollan Racing/ Aquis Farm from the Carramar Park draft, he is the third winner from Sonnenblume, a three-quarter sister to Group I winner Shinzig. Loving Gaby and Garibaldi bring I Am Invincible’s tally of two year-old winners for this season to 10, which makes him the leading two year-old sire by winners.